So I spent some time this weekend to try and show where 5 12 hour days went in analyzing data. 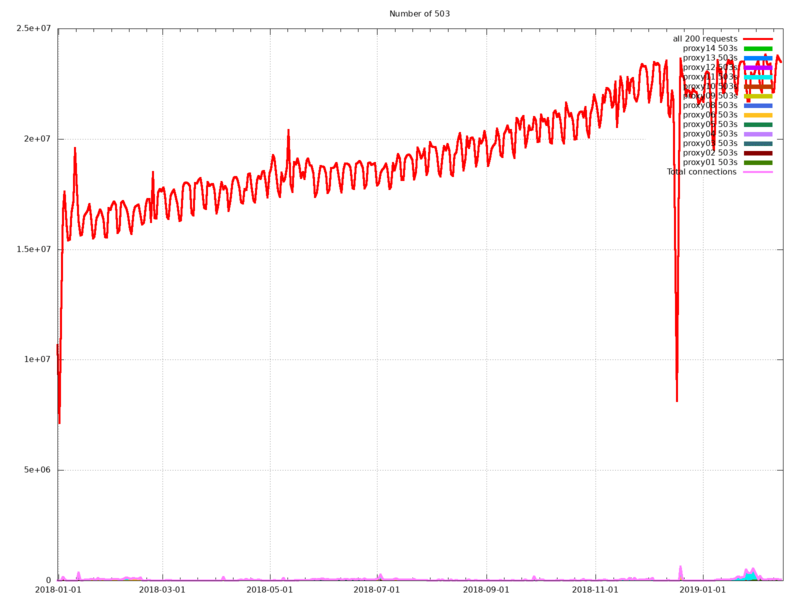 This first graph shows the number of successful mirror requests and breaks down the 503 error's per server. The above is just a graph of the 503's broken down by each server which sees them. 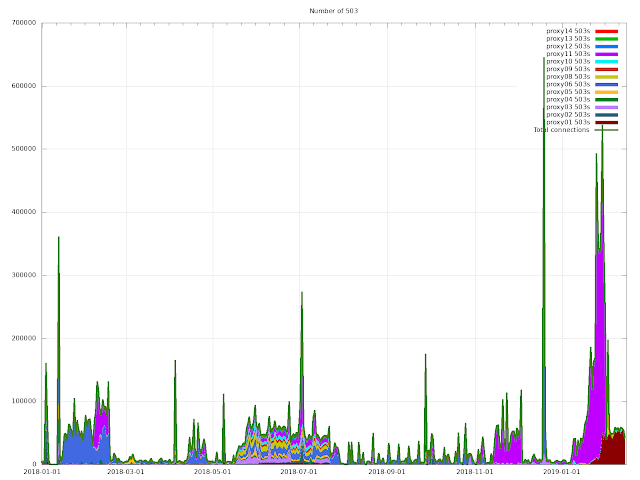 We see that in January, we see a large increase of 503's on 2 servers. The first one is proxy11 which is in Europe and the server may be underpowered for what we are needing it to do. The second was on proxy01 which a lot of sites have hard-coded. If the above graph was done by the minute, you would see it as many many tiny spikes at :02 -> :10 minutes after the hour and most of the day empty. The graphs go to 2019-02-15 and the last 4 days have shown a decrease in 503's but proxy01 and proxy11 are still having several thousand a day. I am still looking at other fixes we can do to make this a less painful experience for people when the top of the hour occurs.